Most car owners can learn how to change the spark plugs in their own vehicles. These key points are easy to follow once you know the correct procedure. It may be complicated, though, to get access to the plugs. If you have access to every spark plug in your car, you can change them in about an hour or two. But depending on the type of engine you have, it may be difficult or almost impossible to access one or more of the plugs. Tools can be a lifesaver on some of these difficult engines. 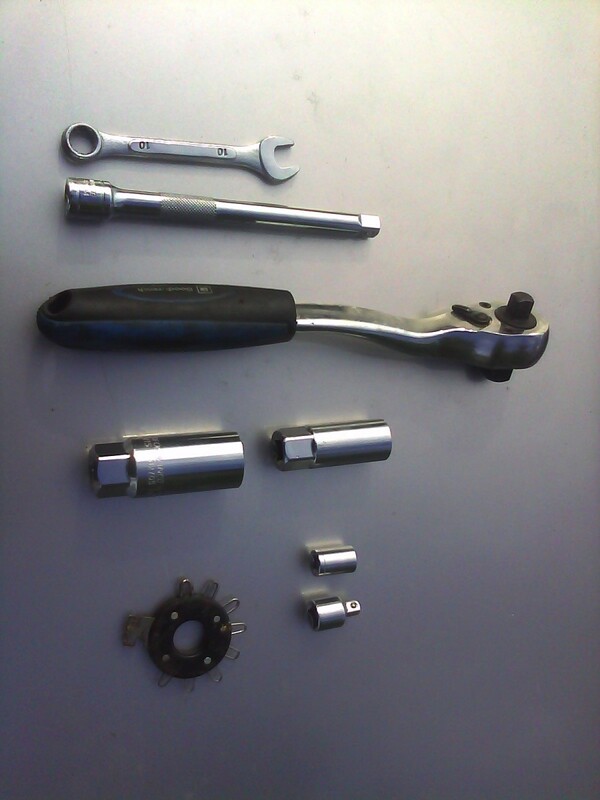 You can find a variety of ratchet extensions, including offset handles and swivels, that let you work with a ratchet at odd angles to remove hard-to-reach bolts, nuts, and spark plugs. It's not uncommon, especially on modern vehicles, to have to remove the intake manifold or some other major component to reach some spark plugs. If you are mechanically inclined, you may still want to tackle hard-to-reach plugs yourself using your vehicle repair manual; otherwise, you may need to take your car to the shop to have them replaced. One more thing you will want to know, if you decide to replace your plugs yourself, is how to diagnose spark plugs (described in the section below on "Reading Spark Plugs"). 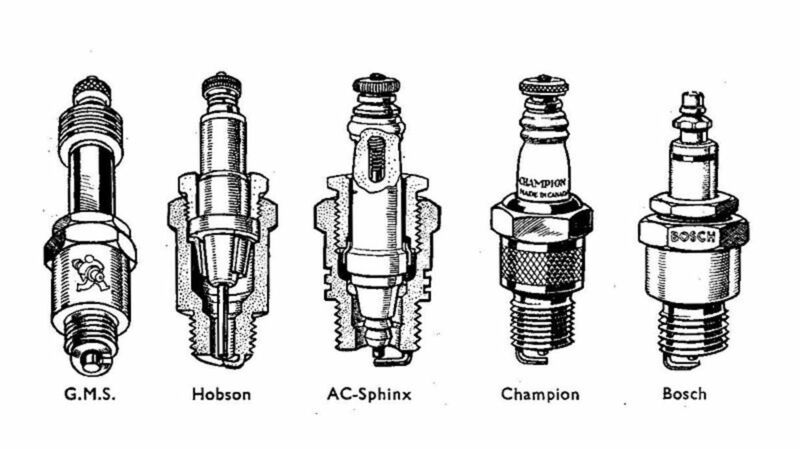 Spark plugs can give you important information about the mechanical and performance condition of your vehicle. If you need more background, check the section just below on the job of a spark plug. Now that we've got the warnings out of the way, let's replace those old spark plugs. Make sure you have the necessary tools, including those you may need to remove any accessory to gain access to every spark plug. If you've seen a spark plug, you've probably noticed the two small wires at the bottom (cylinder end) of the plug. These are the electrodes, and they are the most important part of a spark plug, as far as a car owner is concerned. The electrodes should be separated by a predetermined distance, depending on the application. This distance is referred to as the electrode's or spark plug's gap. The plug uses this gap to create an electrical arc or spark between the center and side electrode. The spark happens when high voltage coming from the ignition coil travels through the center electrode and jumps to the side or ground electrode. It is this spark that ignites the compressed air-fuel mixture inside the combustion chamber. The combustion created by the spark is then converted into reciprocal movement by the piston and cylinder wall, and then to rotating movement by the crankshaft that connects to the pistons, so the vehicle can move. With a weak spark, the engine does a poor job. Without a spark, the engine can't do its job at all, which takes us to the next topic. Unfortunately, spark plugs don't last forever. Gradually, the electrodes wear out or become fouled, and the spark weakens until it disappears. Here are some symptoms of bad spark plugs. A spark plug can last approximately between 20,000 and 100,000 miles (32,000 and 160,000 km), depending on the type of spark plug used and the engine's condition and the way it's been maintained. Problems with mechanical or electrical systems can interfere with a plug's job and shorten its service life. When worn or fouled, a spark plug may work fine at idle, but at higher engine speeds or under heavy loads, you may notice one or more cylinders misfire. So you'll need to check and, if necessary, replace them. Here's how to get ready. After gathering all your tools and removing accessories to gain access to all your plugs, you are ready to start. Make sure the engine is cool to the touch. Number each spark plug wire using masking tape, if necessary, so that you know which wire belongs to which cylinder. This will prevent you from mixing the wires during the installation process and cause engine performance problems. Remove each spark plug wire or ignition coil from each spark plug. Grab the wire from the boot. Twist it about 90 degrees to break the boot loose. Pull the boot off the spark plug as you gently twist the boot back and forth. On some models, you may need to use boot puller pliers to disconnect the wire from the spark plug. Unscrew each spark plug a couple of turns counterclockwise using a ratchet, ratchet extension, and spark plug socket. The spark plug socket has a bushing insert to protect the plug insulator and prevent the plug from falling off the socket when removing or installing the plug. 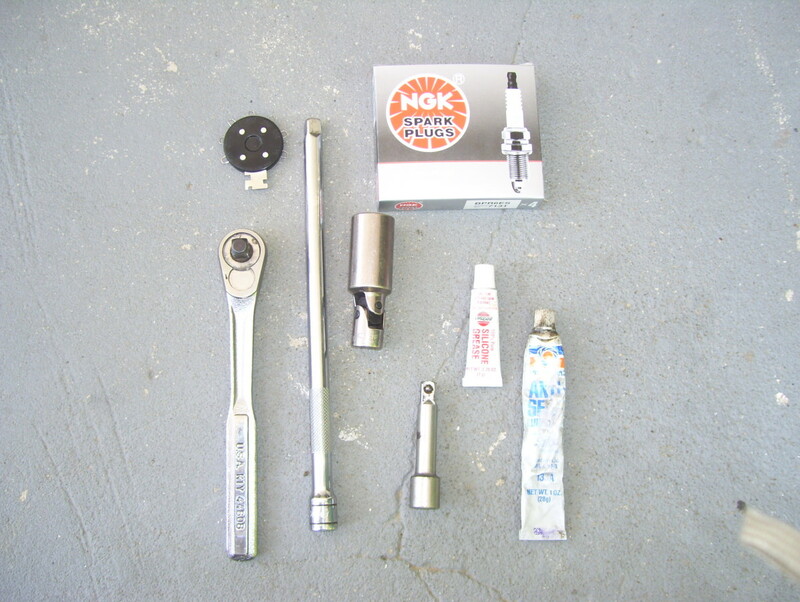 The socket has an external hex end so that you can use an open-end or box wrench as well. If the plug seems hard to turn, just turn it about 45 degrees counterclockwise and spray oil penetrant around the base of the plug. Wait 15 minutes and turn the plug back and forth about 45 degrees. Use more lubricant, if necessary, until the plug becomes loose but don't remove the plug just yet. Remove any accumulated dirt or debris from around the base of the spark plug. If you don't have compressed air available, you can use a bicycle air pump and a soft brush. Or just use the brush if you don't have access to a bicycle pump but remove as much dirt or dust as possible. 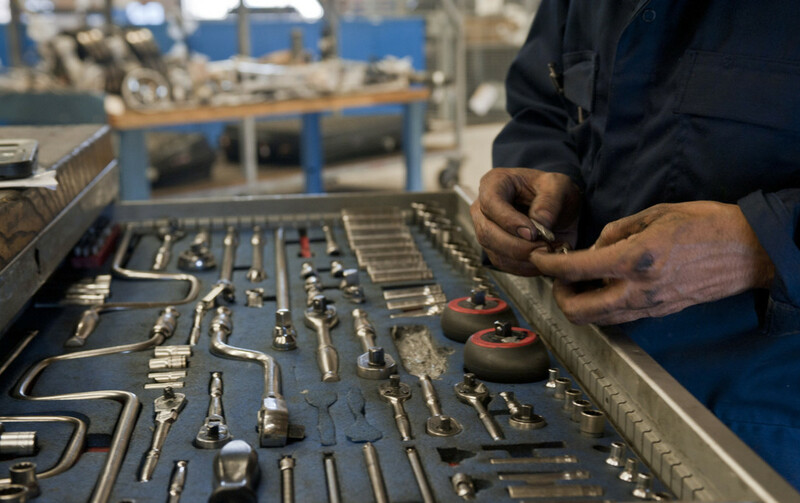 Finish removing the spark plugs and place them in order on a workbench or similar surface, so that you know which plug belongs to which cylinder. If your spark plugs use a gasket, make sure all the gaskets came out as well. Examine each spark plug thread, especially those that were difficult to turn. Look for thread damage or small metal fragments embedded between the threads. If necessary, examine the threads on the cylinder head as well. If one or more threads on the cylinder head are damaged, you may fix the thread using a spark plug thread chaser. Sometimes, it is necessary to replace the thread using a threaded insert, especially on engines with aluminum heads. Now, it's time to examine the plugs. 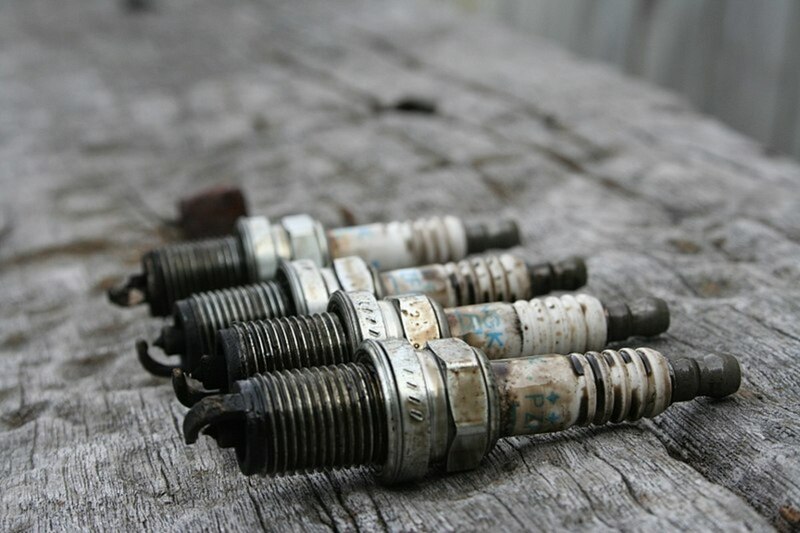 A spark plug that has been working properly and under good conditions will have a brownish-tan or gray-tan color to it. However, unless you have been maintaining your engine according to the manufacturer schedule, and sometimes even then, your spark plugs will come out coated in soot, or, in serious cases, showing signs of damage. Before you continue replacing the plugs, head over to the section Reading Spark Plugs below to learn about the condition of your engine, if necessary. Then continue with the following section. Before you install your new plugs, or reinstall the old ones, it's necessary to check each plug's gap. Most new spark plugs have the gap set from the factory according to specifications. However, it is a good idea to double check that the plugs you will be installing have the correct gap. Also, if your current spark plugs are still good and you want to reinstall them, you'll probably you'll need to re-gap the plugs before you reinstall them. The correct gap provides good engine performance and extends plug service life. To check a spark plug gap, use a round feeler gauge. You can buy these gauges at most auto parts stores. Consult the gap setting for your application in the repair manual for your particular vehicle make and model. Use the tool to reduce or increase the gap by bending the side electrode using only the tool. Do not tap the side electrode on a hard surface or bench to reduce the gap. Try not to put pressure on the center electrode with your tool, especially on platinum and iridium type plugs. Maintain the side electrode as horizontal as possible once the gap has been set. Some spark plugs come with more than one side electrode. Although the gap on these spark plugs can be adjusted with special tools, manufacturers recommend that car owners just install them as they come out of the box, without trying to adjust the gap. The video below shows you how to gap a spark plug using a round wire feeler gauge. Make sure you are installing the correct plugs for your application, including the correct heat range. See the Spark Plug Heat Range section at the bottom of this post. 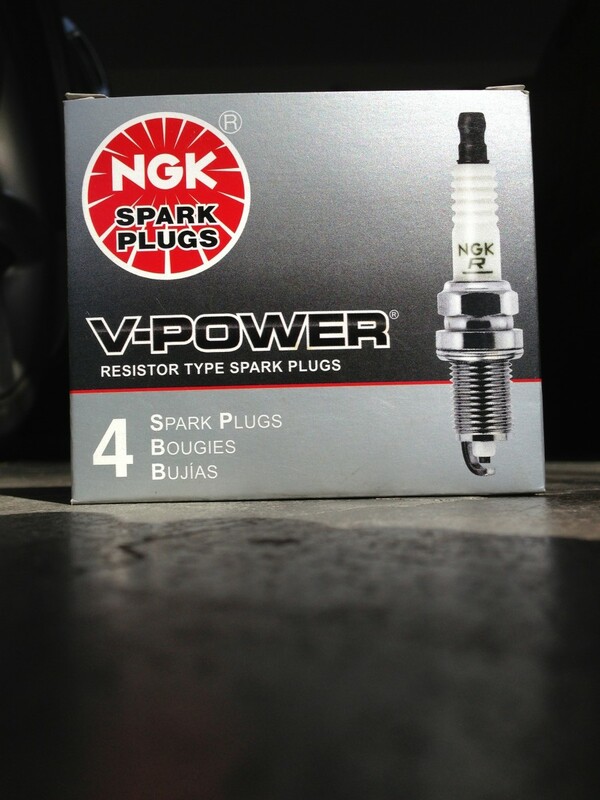 You may look up the spark plug recommended for your vehicle model in your car owner's manual or repair manual. Clean the plug seats in the cylinder head with a clean cloth to remove dirt and grease. 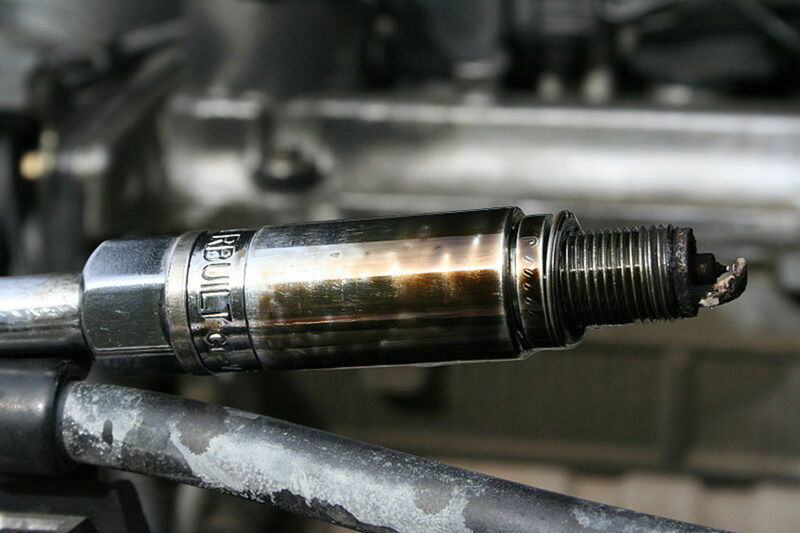 Apply a dab of anti-seize compound on the upper half of the spark plug thread, the half farthest from the side electrode. Use this compound only if your repair manual recommends it. Initially, install the spark plugs finger tight, without using any tools, to prevent stripping the threads. If you have difficulty threading a plug by hand, most likely the thread on that cylinder needs to be cleaned. You can use a thread-chasing tap for this. On some cases, especially on aluminum type cylinder heads, using a thread insert is necessary for this repair. Consult your repair manual. Tighten the spark plugs using a torque wrench. Look up the torque specification for your particular vehicle make and model in your repair manual. Tightening the plugs to the correct torque will prevent the plugs from seating loose in the cylinder head. A loose plug may leak combustion gases, cause poor heat transfer, or worse, blow out. Using the correct torque also prevents you from over-tightening the plug and damaging the spark plugs or the cylinder head threads. If you applied anti-seize compound to the spark plug, torque the plug about 10% lower than specification to prevent over tightening. Before you install the wires, you may want to apply some dielectric spark plug grease to protect the metal terminal inside the wire against corrosion, and to keep the spark from leaking out to ground before reaching the spark plug. Use a thin screwdriver to apply the grease. Reinstall the spark plug wires to the correct cylinder. Make sure not to cross wires into the wrong cylinder or engine performance will suffer. Press the boot firmly over the spark plug end until you hear the metal terminal inside the boot click onto the terminal of the spark plug. 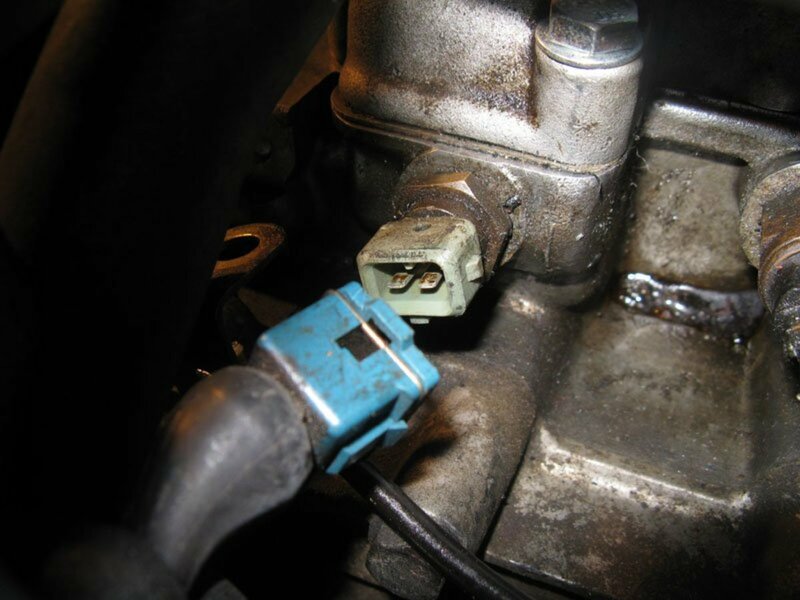 Secure the spark plug wires away from hot surfaces and moving components. Wire loom spacers are good to guide wires and to prevent the spark from arcing to ground, and they can also keep wires safe from moving or hot parts. You can buy them at most auto parts stores. Start the engine and make sure it works properly. Then turn off the engine. Finish reinstalling any accessories you may have removed to access the plugs. To diagnose your spark plugs, examine the firing tip of each plug, paying attention to the color and condition of the ceramic insulator. When a spark plug has been working under normal conditions and firing properly, it will acquire a tan color and, sometimes, a light layer of soot around it. But as an engine mileage increases, the color and condition of a spark plug change as well. A spark plug's appearance may change in different ways, depending on the plug's age and the engine's mechanical condition. Thus, a spark plug can give you good information about your engine. If one or more plugs match one of the following descriptions, it's a good idea to get a second opinion from a reputable car shop, regarding any problems your engine might be having and the necessary repairs. Spark plugs fouled. Electrodes covered in oil point to a leak. In an overhead valve engine, the oil may be entering the combustion chamber through worn valve guides or seals. Sometimes, with an automatic transmission, a bad vacuum modulator may introduce transmission oil into the engine. 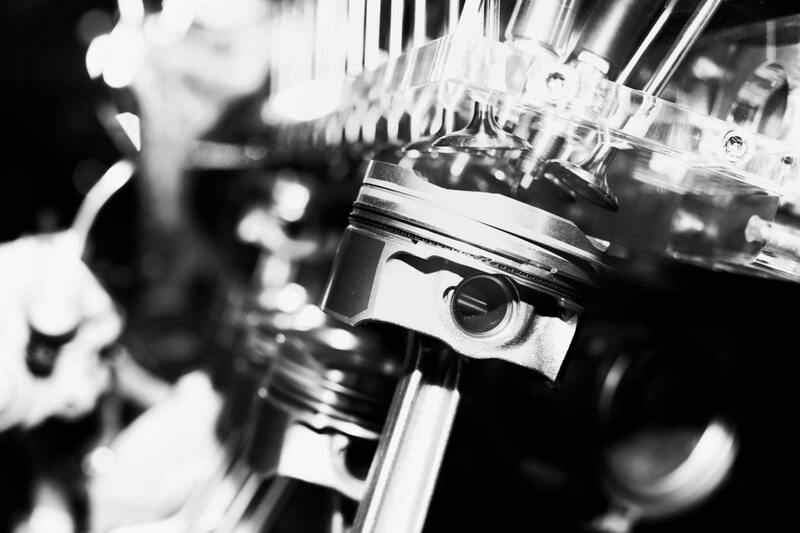 On a high-mile engine, this may indicate worn piston rings or cylinder wall. This may lead to hesitation, hard starting or misfires. Glazing. Carbon deposits can coat the spark plug insulator with a shiny, yellow glazing. This glazing will act as a conductor, driving current to ground through deposits and preventing the plug from producing a spark. You may notice misfire when driving down the highway. Extended periods of low-speed driving and idling, followed by high-speed acceleration, can cause glazing. Splash fouling. 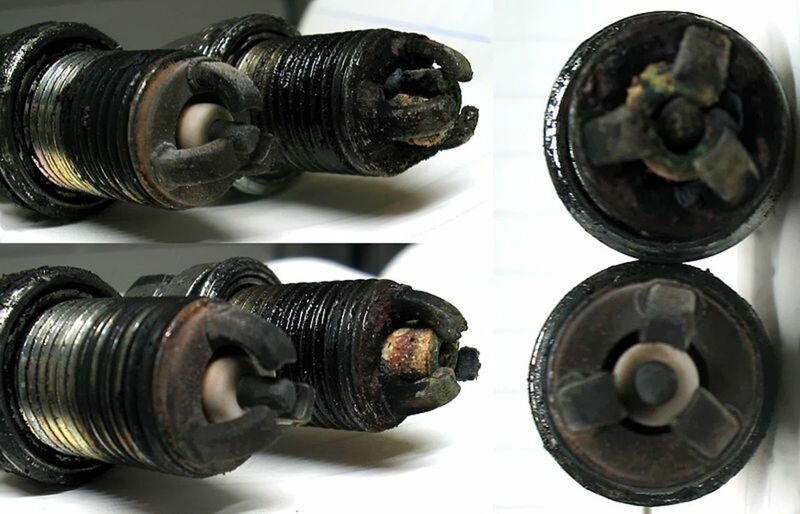 This is a special case of carbon deposits that occur after the spark plugs have been replaced. When a cylinder begins to fire normally after a period of misfires, the accumulated deposits in the chamber can come loose and stick to the new spark plug, preventing it from firing normally again. You may reuse the same plug if you can clean and re-gap the spark plug. Rust deposits. If you find rust sediments around the tip of the spark plug, it's possible the head cylinder gasket has a coolant leak or the engine block is cracked. Depending on the severity of the problem, water will interfere with the spark and most likely cause a misfire. Preignition damage. High temperatures beyond the range of normal operating conditions can quickly erode or melt spark plug electrodes. High temperatures cause the air-fuel mixture to burn before normal combustion occurs. Engine overheating, including the use of plugs with high heat range, may lead to preignition damage. Check for too advanced ignition timing, cooling system problems, lubrication system problems, or a lean fuel mixture. Carbon deposits. A layer of dry carbon deposits around the electrodes is usually caused by a rich air-fuel mixture or a problem in the ignition system that is preventing the spark plug from firing. If one or two of the spark plugs in your engine show this sign, there may be a sticking valve. You can also notice hesitation and a hard-to-start condition. Damaged tip. A broken or bent electrode or insulator may be signs of knocking or physical contact between the spark plug and piston or some large deposits inside the chamber. Gap bridging. Driving most of the time in stop-and-go traffic will cause carbon deposits to accumulate carbon deposits in the combustion chamber. Suddenly changing this driving pattern and speeding down the freeway will help to break those deposits loose. However, such a sudden sprint could cause melted carbon to accumulate around the electrodes, bridging the gap and causing the cylinder to misfire. The best way to correct the problem is to replace the spark plug(s). Overheating. An engine overheating condition will also cause spark plug trouble by blistering the insulator and wearing away the electrodes. When the engine is overheating, carbon deposits are pretty much nonexistent. Several factors can be conducive to spark plug overheating like detonation, ignition timing too advanced, too lean air-fuel mixture and failure of the cooling system. 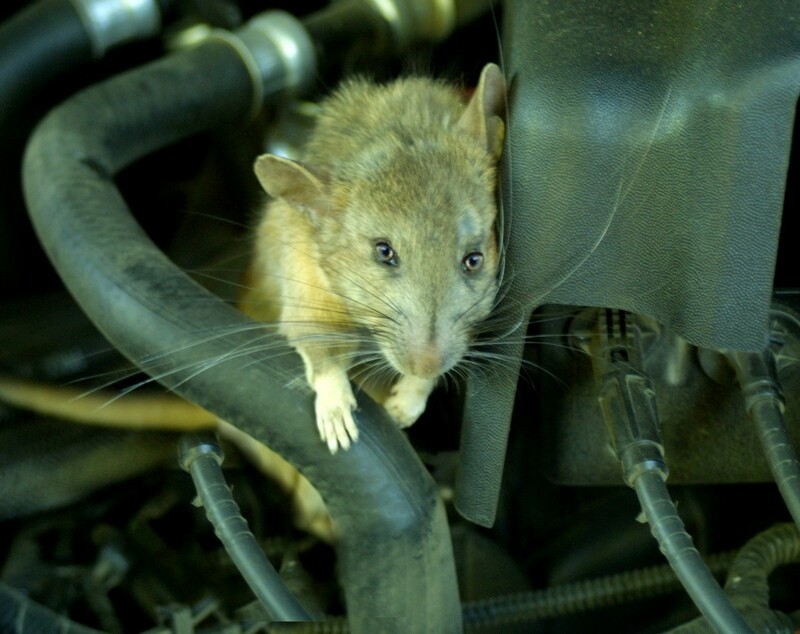 If a spark plug is blistered, replace it and diagnose for the source of overheating. Ash deposits. Accumulation of deposits around the electrodes may point to excessive use of oil or fuel additives, worn valve guide seals, or the use of poor quality fuels. Ash deposits may cause misfire and hesitation during acceleration. You can check your vehicle repair manual for a visual reference that can help you better identify your spark plugs' condition and type of problem your engine may be experiencing. If you don't have the manual, you can get an aftermarket Haynes repair manual from Amazon. These manuals are relatively inexpensive and come with step-by-step procedures for many maintenance, repair and troubleshooting projects. So the manual will pay for itself pretty soon. VIII. What Are the Best Spark Plugs for Your Car? If you are thinking of replacing your current spark plugs with a different type than the one recommended by your car manufacturer, check this other post on the best spark plugs for your car before making a final decision. It can help clarify some confusion surrounding the different types of plugs you can find for your particular application. 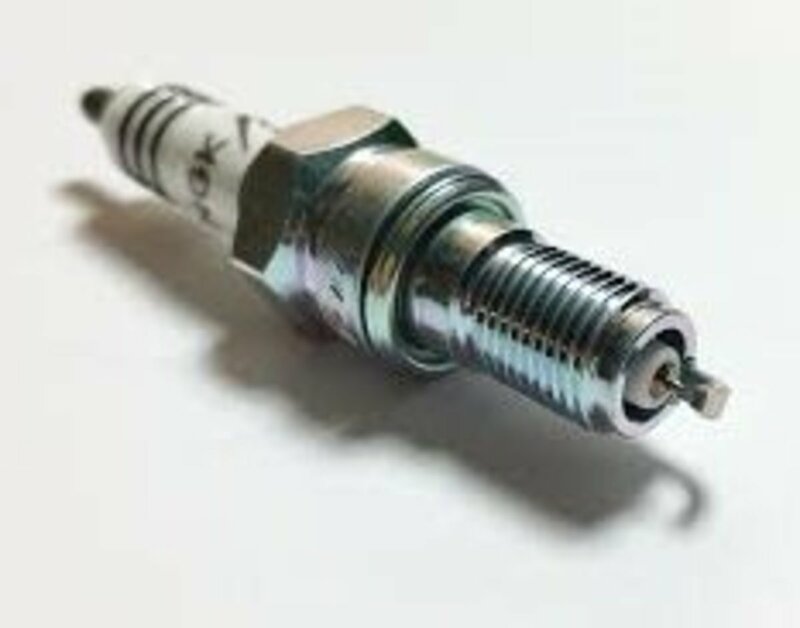 A spark plug's heat range is determined by the length of the insulator surrounding the center electrode within the shell (the threaded portion). The insulator runs from the center electrode towards the shell. 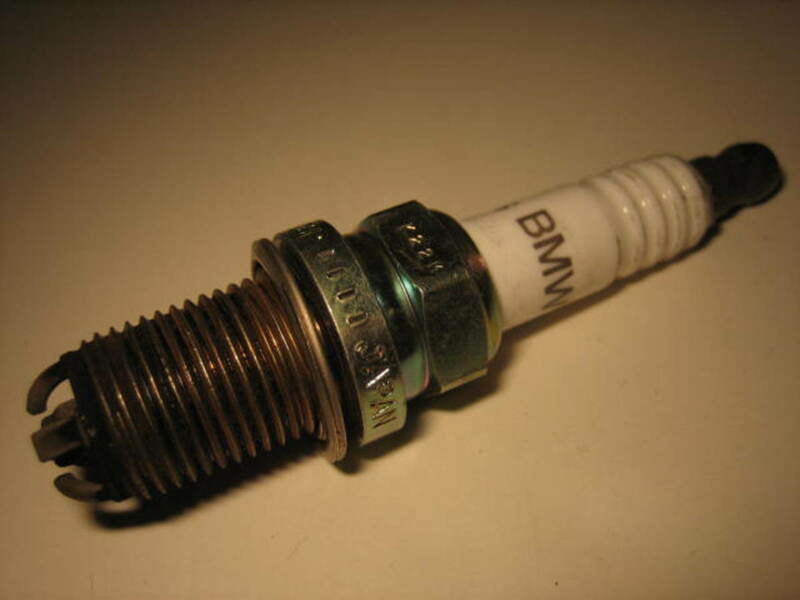 A cold-range spark plug has a short insulator. 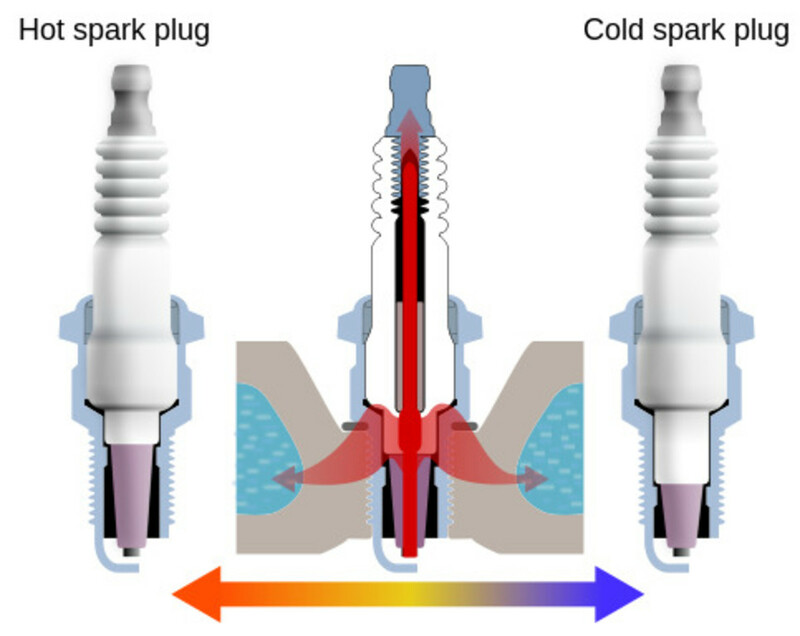 In a spark plug, the center electrode concentrates most of the heat. A short insulator helps the center electrode remove the heat sooner by passing the heat to the shell and the cylinder head. 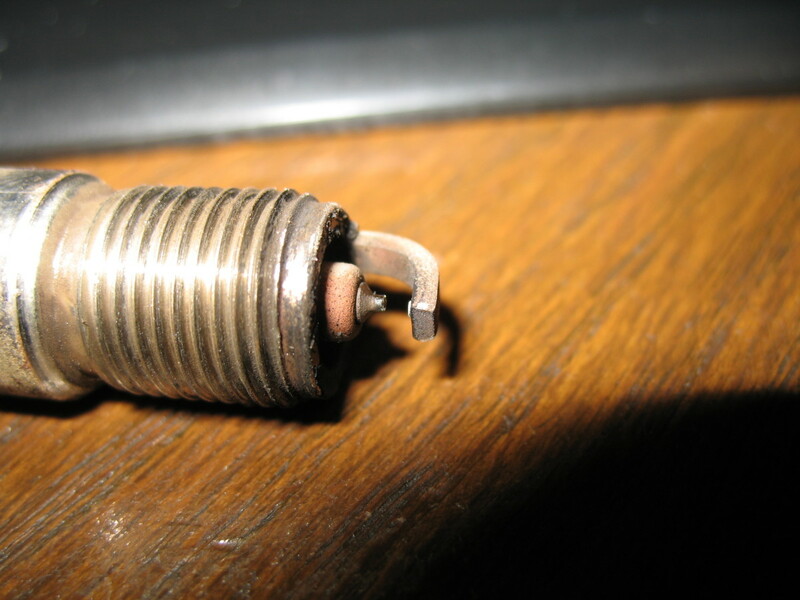 On a hot-range spark plug, heat has to travel farther down a longer insulator to the shell and to the cylinder head. More heat between firings helps the spark plug clean itself better without causing preignition of the air-fuel mixture. Always use the heat range recommended by your car manufacturer, unless otherwise suggested by a professional car technician. Changing spark plugs at the manufacturer's recommended intervals, or whenever necessary, is one of the easiest and most practical ways to help your engine perform at optimal conditions. Install the correct spark plugs for your application. Don't allow debris to fall into the combustion chamber when removing the spark plugs to prevent future oil leaks. Torque the spark plugs to specification to prevent performance problems or damage to the plugs or cylinder head. Follow the manufacturer's recommendations in the use of special greases when installing spark plugs. Diagnose your spark plugs and make the necessary repairs, as necessary. 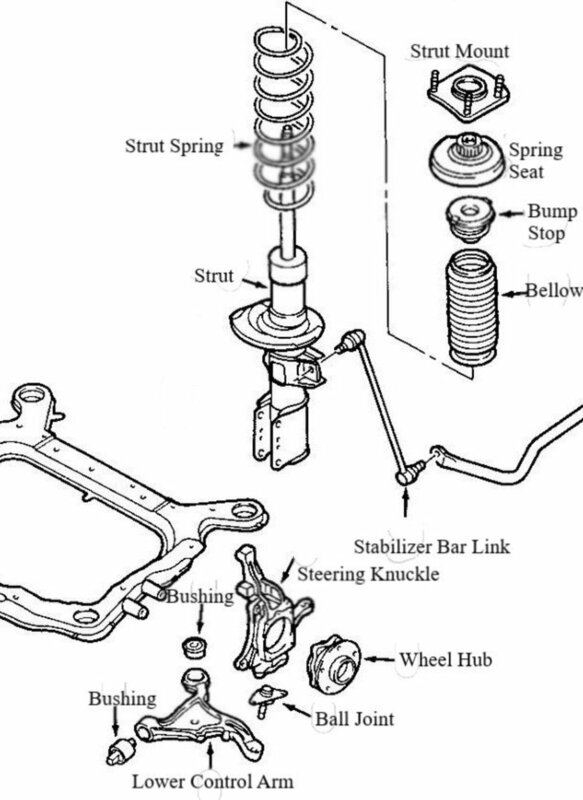 Keep this guide handy and help your engine maintain a healthy spark. Where should I attach on the engine to pull forward in order to reach the spark plugs at the rear of the engine compartment? Sometimes it is possible to drop the engine an inch or two to reach spark plugs in the rear. You need to use a jack to support the engine while loosening one or two mounts- depending on your setup. Then lower the engine as necessary. 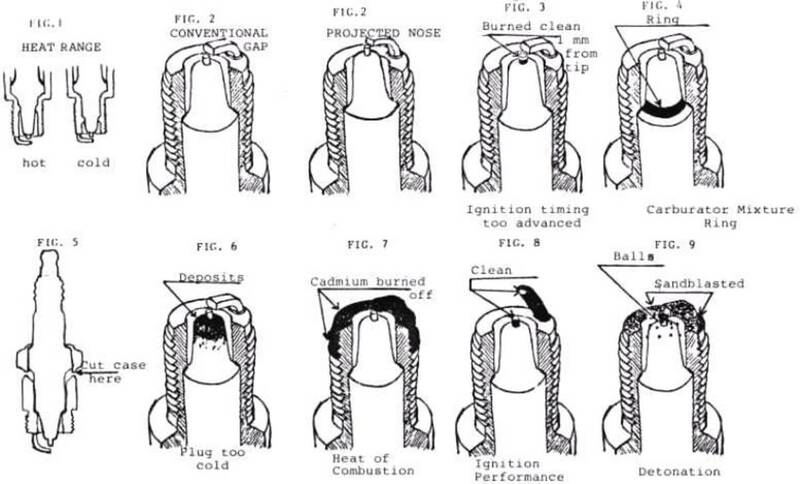 Also, your repair manual may tell you the best way to reach the rear plugs. If you don't have the manual, check the reference section of your local library. I am installing copper plugs after a tune-up. As I start the plugs into the hole, they begin sparking- not between the ground and electrode, but outward away from the block. I have the plug attached to a rubber vacuum hose. The ignition is OFF. How is this happening?